Incredible Value! Steel beam construction in this custom built garrison colonial syle! This one-owner home has so much to offer! A 24x11 kitchen/dining area, fireplaced living room, and three good sized bedrooms! Roof updated in 2002, and most windows and siding in 2006! There is also an additonal 750 square feet in the unfinshed basement area, along with a half bath! There is even a deck off the back of the house; perfect for summer grilling! Amazing location! 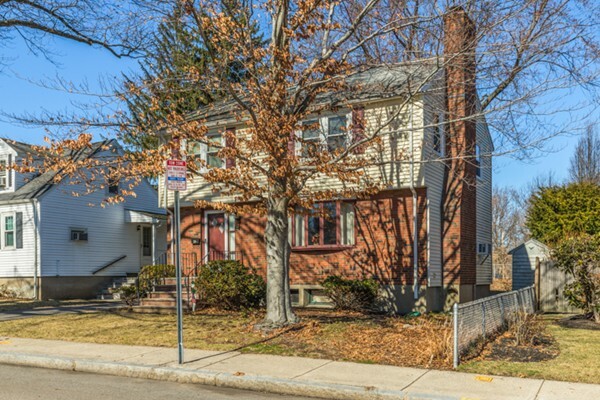 located close to Belmont and a quick ride to Fresh Pond! And close to the 74 and and 78bus. Line Don't miss your opportunity to view this special home!